Tiny recently spoke out about their relationship explaining the attention her husband receives is difficult to handle. Rapper T.I. and estranged wife Tameka 'Tiny' Cottle are officially moving forward with their divorce. The former Xscape singer filed papers to end her six-year marriage to the Whatever You Like hitmaker in December and the case was due to be heard in a Georgia court in March. However, it was cancelled because the 41-year-old allegedly failed to notify the rapper of the legal action. The proceedings were shelved and it was speculated the former couple had reconciled after being pictured hanging out. However, this is not the case and the divorce is now going ahead. According to E! News, Tiny served T.I., real name Clifford Harris Jr., with divorce papers this week and he responded by filing his acknowledgement of the service on 24 April. The former couple, who got married in 2010, have three children together; sons King, 12, and Major, eight, and daughter Heiress, who was born in March last year. They documented family life on reality TV show T.I. & Tiny: The Family Hustle, which will end after its current sixth season. Tiny recently spoke out about their relationship on Essence's Yes, Girl! podcast, explaining the attention her husband receives is difficult to handle. "It's crazy because they don't really care," she tells "Women today, they don't really care that it's just for a night. So how can a man... they keep throwing it and keep throwing it. Like, how are they supposed to stay normal and just faithful when this is going on all day, all night? It's a lot." T.I. also told New York radio station Power 105 their marriage was a "distraction" from his ambitions, saying, "It seems to me that marriage and what marriage means and what marriage does - it's just one of those things that are going to distract and deter me. I just have a purpose and I don't always have the time to do the thoughtful, considerate things that a husband should do." 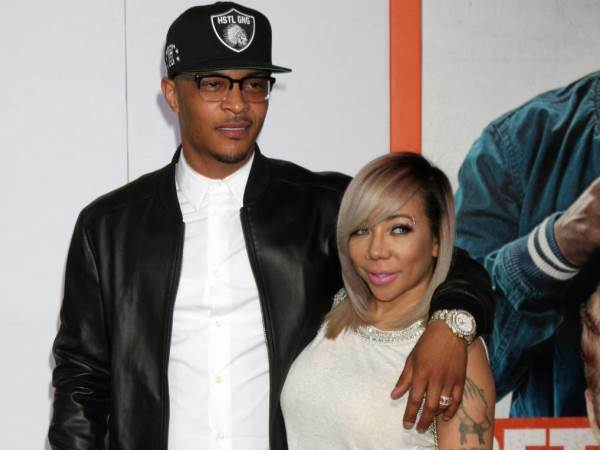 Tiny has a daughter from a previous relationship while T.I. is a father to three other children. I'm a 42 year old woman looking to meet men between the ages of 38 and 50.